I'm going to honest, I am a huge procrastinator. 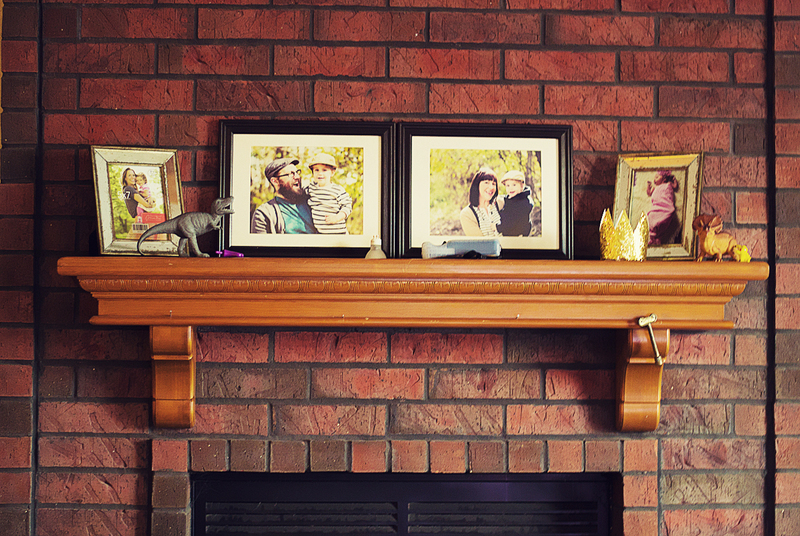 After my Christmas decorations went down, I tossed a few loose pictures onto the mantel and said, "I'll fix this later." And now it's March, oops. I had been eyeing this cute cow "painting" at Hobby Lobby for awhile and during a recent visit, I caught it on sale. So I decided to get him and my journey to making my mantel prettier began. As you can see above, it really needed some love. I would LOVE to paint it as well, but that's an ongoing disagreement with my husband. I want to paint the brick because I think it's dated, he thinks it looks fine. I think I'm slowly turning him though with each Fixer Upper episode. He'll soon tire of hearing, "See? Joanna would paint it!" The actual mantel itself, I'm torn on. I've considering staining it darker because it really is a beautiful piece of wood annnnd I've considered replacing it altogether. I suppose it will just come down to whether or not I actually want to spend the money when the time comes. 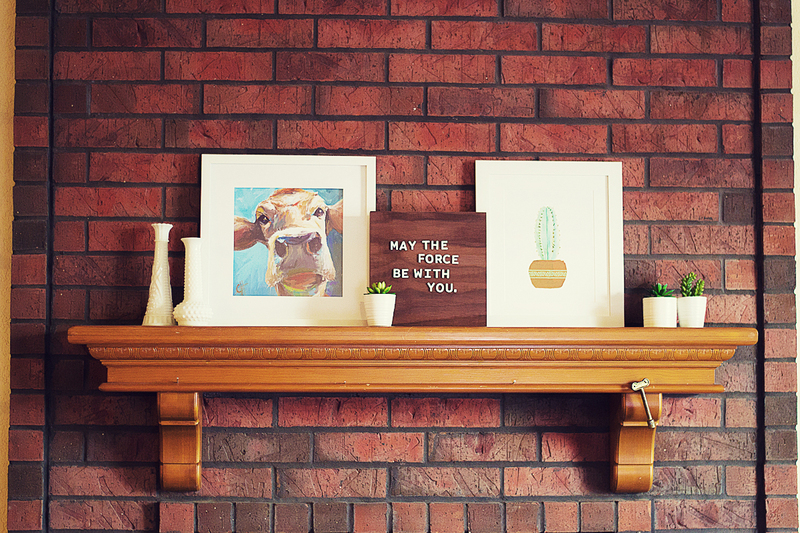 For now, I'm just replacing trinkets and trying to make my mantel feel happier. 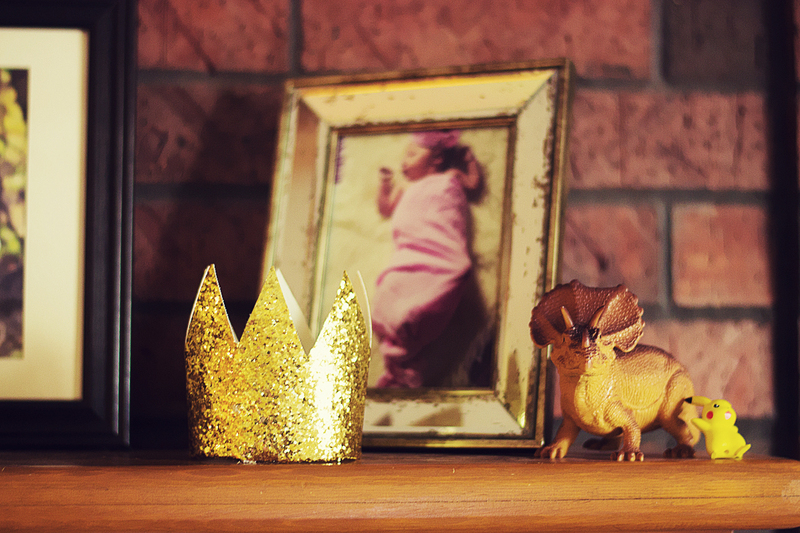 Oh let's see, we have a beautiful framed photo of baby Maeve, her 1st birthday crown, a dinosaur and a drunk Pikachu. Another dinosaur, a potato head piece and a framed photo of a woman and child I don't know. They came with the frame. 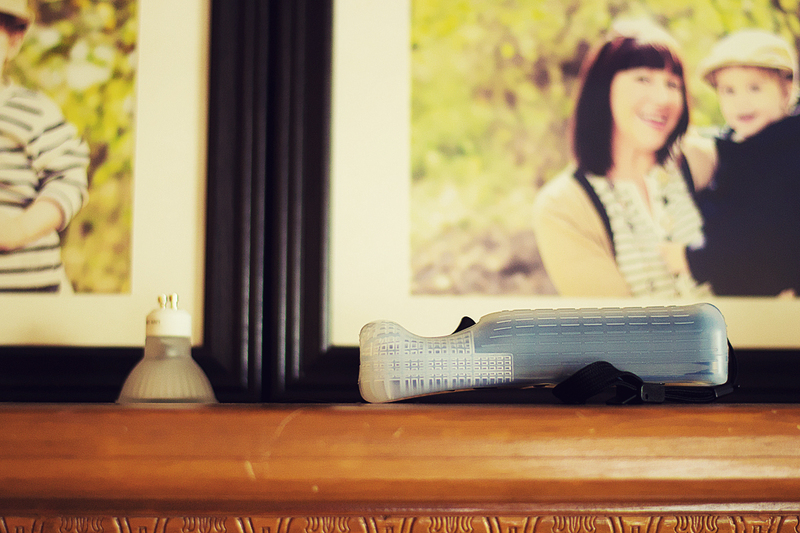 A wiimote, a burned out lightbulb my husband will replace sometime in 2018 and family photos from when Izzy was 2... he's 7 now ya'll. Oh Pikachu, what are we going to do with you? 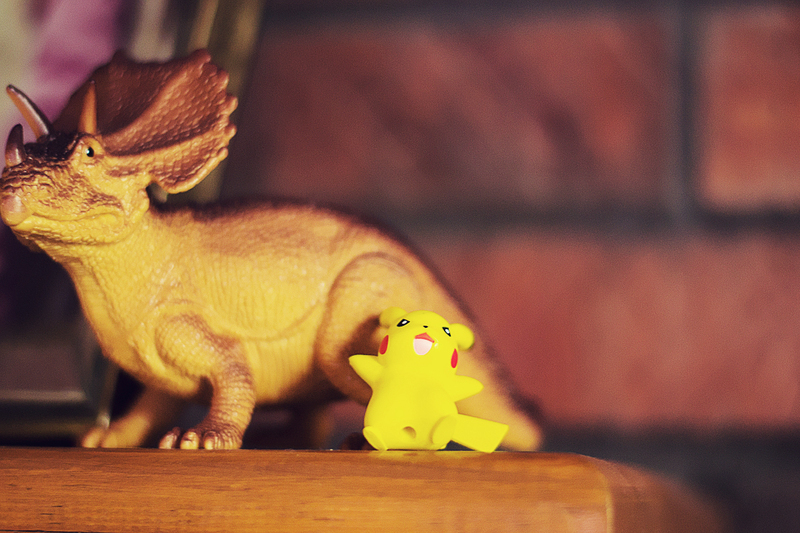 Stay out of the wine, Pikachu! So my idea, when I began planning my mantel was to find pieces I loved. 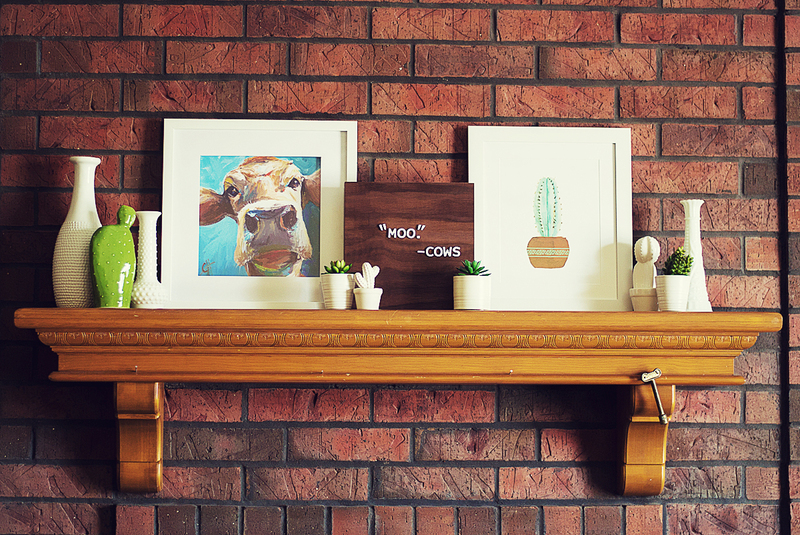 Instead of just going out and buying things to put on my mantel, I wanted it to feel like me, I wanted it to be something I loved. 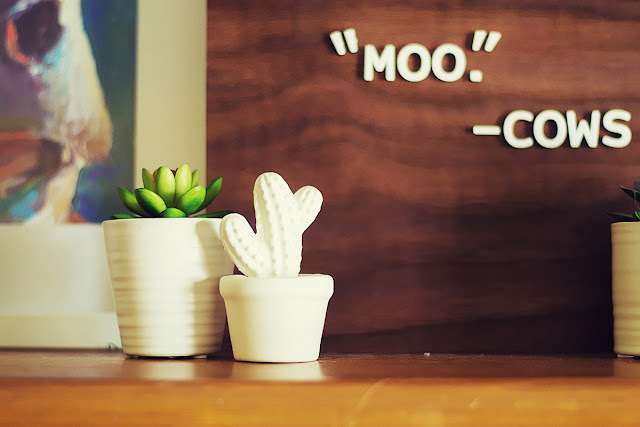 It began with the cow, when I purchased him, I also picked up this cute, simple cactus watercolor. That's all I had for a few weeks until my JUT board arrived. It's my new favorite thing and I LOVE it, I'll show you more in a moment. 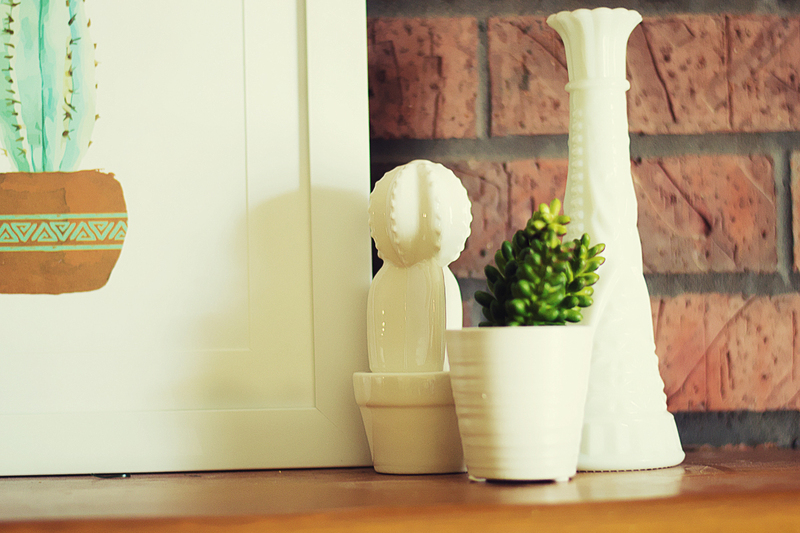 During my Magnolia visit I picked up a few milk glass vases, they have that vintage feel I just love. And then the wonderful Target Dollar spot graced me with some $3 faux succulents, which are perfect for up there, where I don't have to worry about forgetting them and letting them die. Have I ever mentioned how horrible I am with plants? I wanted it to be simple, large displays feel overwhelming to me. Though it still felt a bit naked. This is the JUT board! It's a magnetic wood letter board, it's gorgeous and I love being able to change up my phrases. This is simply the first thing I put on it when it arrived. I'm a big geek, so throwing the most basic of Star Wars phrases on there was just natural for me. And there's my cow, he's the inspiration for everything in my living room now. And the Magnolia milk glass! This is where I ended up with what I had. It's simple but I still wanted more out of it. I remembered a few small cacti I had seen at "AtHome" and decided to go back for them. I nearly bought them before but I was unsure if they would fit. Now I was sure I wanted them to be in my home. 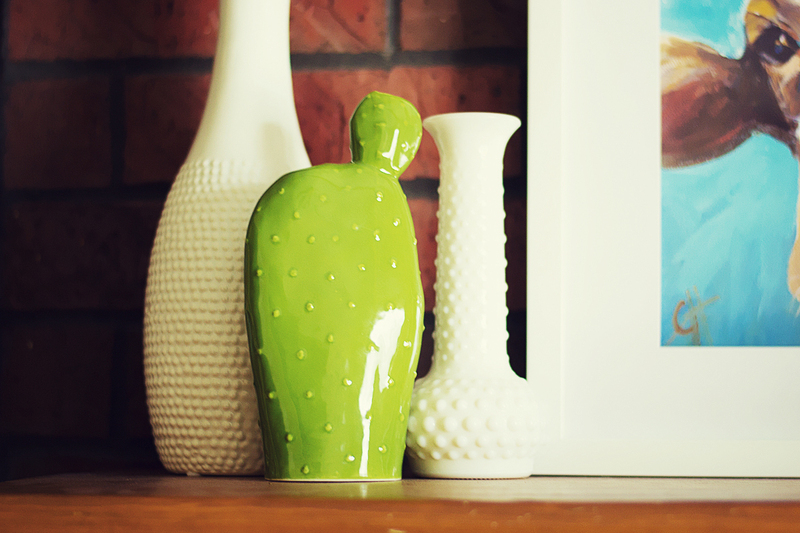 I shopped around a little and found myself a prickly pear and another vase to place on the mantel. I also decided to change up my JUT board. I've rearranged this several times and settled on this for now, I want to find something else to go in there and maybe grab a few faux flowers for my vases. I don't know what I'm looking for, but I'll know it when I see it. A new little cactus to join the family. I grew up in West Texas and loved the prickly pear EVERYWHERE. I also had a lot of respect for it after falling into a prickly mess as a kid, this one is prickly free and fine by me. It's a little silly, but so am I. Another little cacti. I had my eye on two of them, but alas, he was the only one left out of the pair. I'll have to stop in frequently to see if I can find his mate. 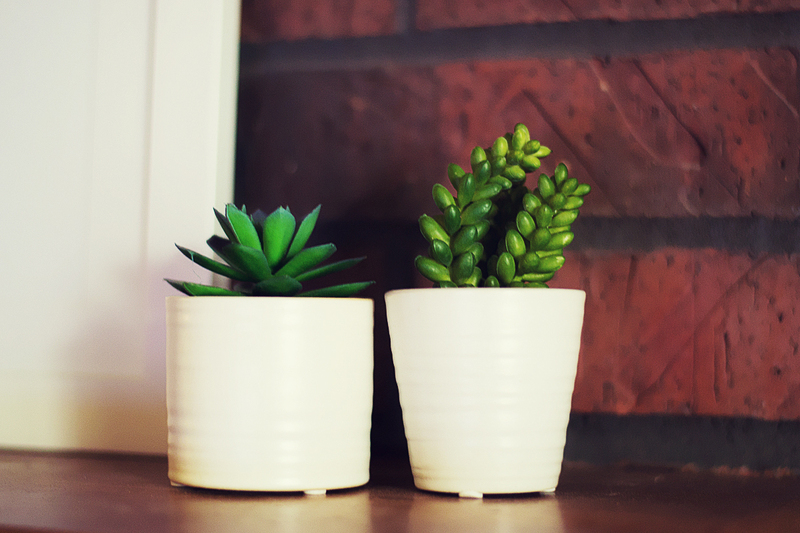 I'm in love with the cactus trend going around, it makes it easier to find things I love. I grew up in West Texas surrounded by the desert, cactus, ranches and Mexican culture. Those memories have been the inspiration for the feel I want to bring into my home, I'm calling it modern ranch right now, but that's far from what it will probably end up being. 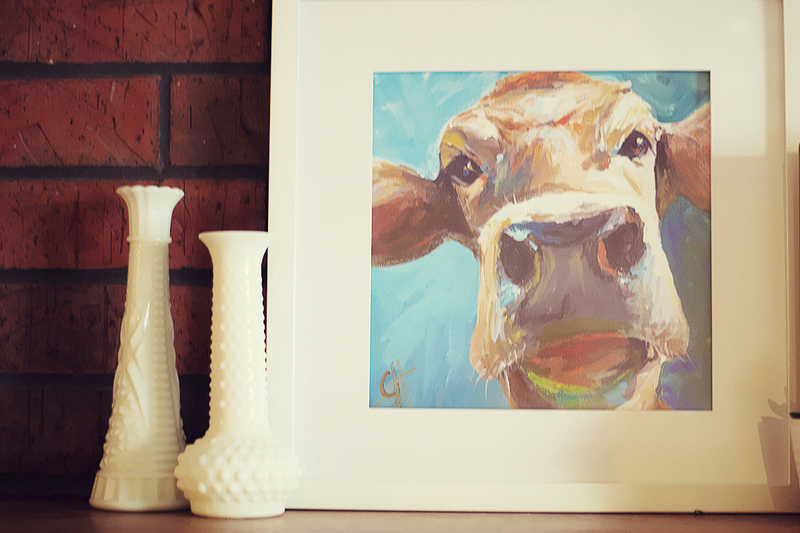 I'm keeping my eye on some farmhouse, some ranch, some modern and some bohemian. Yes, it was necessary to say some on each of those. Not really, but I did it anyway. 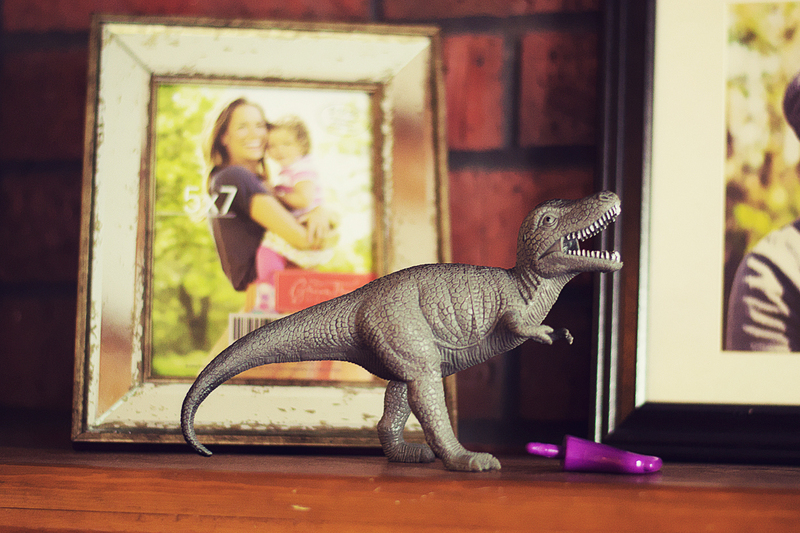 Right now I'm focusing on sprucing up my living space because it's where we spend the most time as a family. I'm slowly working on my dining room and hopefully someday, I can get that kitchen looking nice. I want to paint it bright white but the wonderful pink countertops are holding me back. Until I muster up the cash for that, it just gets put off. 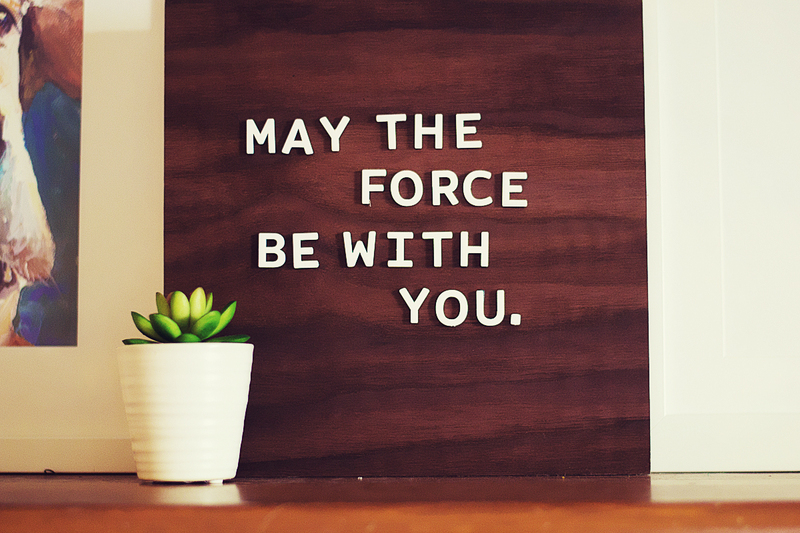 Now if you're wondering about that awesome JUT board, you can find them here at https://jutmade.com/ - It comes with tons of letters and you can even order extras or special shapes for holidays or business. Mine shipped the next day and it's worth every penny! I'll be using it for years to come. I know I'll be changing mine with every holiday and special occasion, it's much easier to change compared to my chalkboard [which I abandoned in the laundry room]. 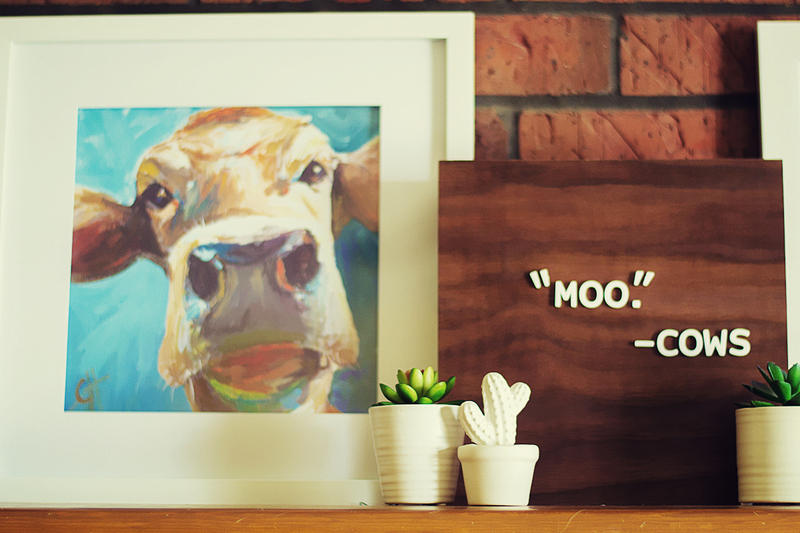 I'll keep you updated, when I find that next item that's just perfect for my happy little mantel. Or if my husband lets me paint it anytime soon! Which raises the question, white, gray or black?